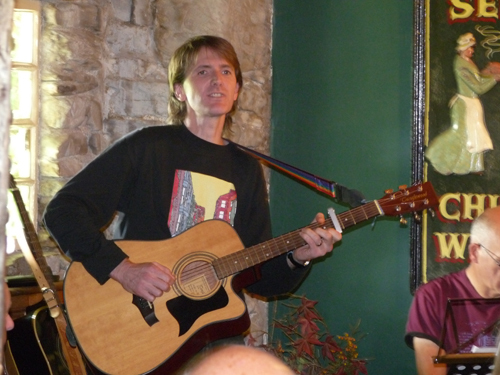 Taken 27th October 2012, in The Old Hill Inn, Ingleton. (C) 2012 Kath Wiggans and Ingleton Folk Festival. 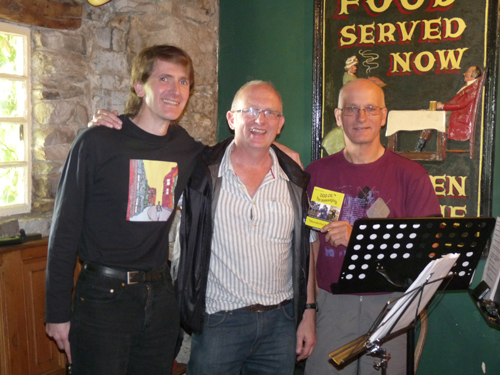 Den, with Folk Weekend Organiser Chris Bonsall and host Rick Wiggans.